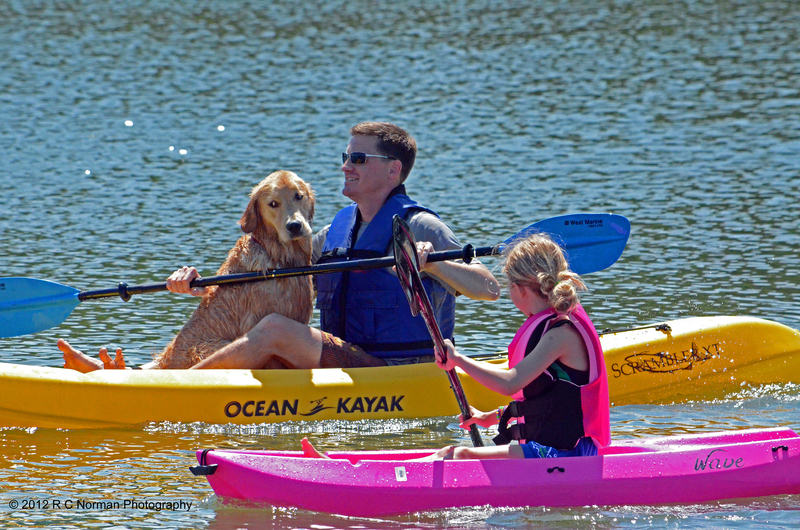 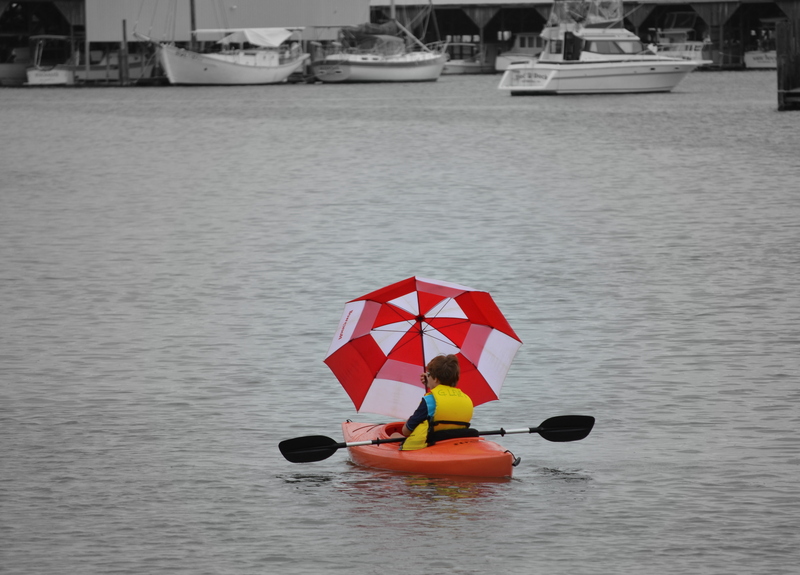 An umbrella comes in handy on a breezy day for this Broad Creek kayaker. 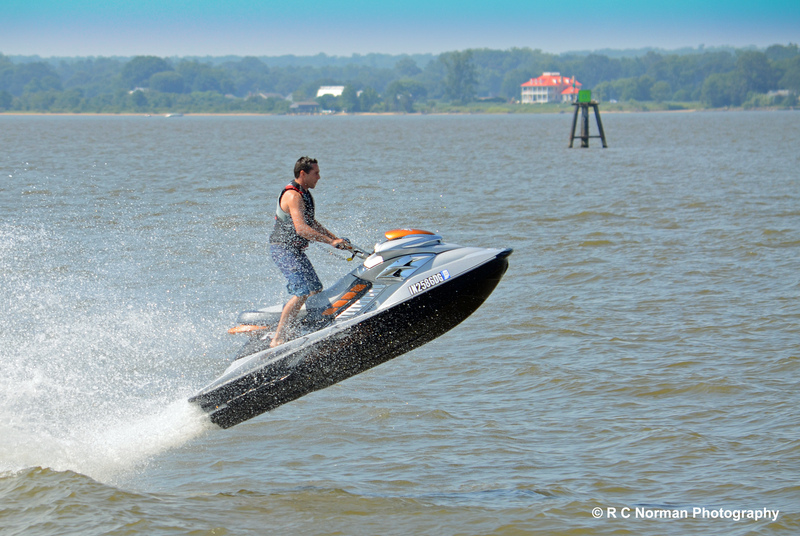 Because I did not want to crop out the boats at the top, since they offer some perspective, I used a color focal zoom technique against a B&W waterscape to help the subject stand out. 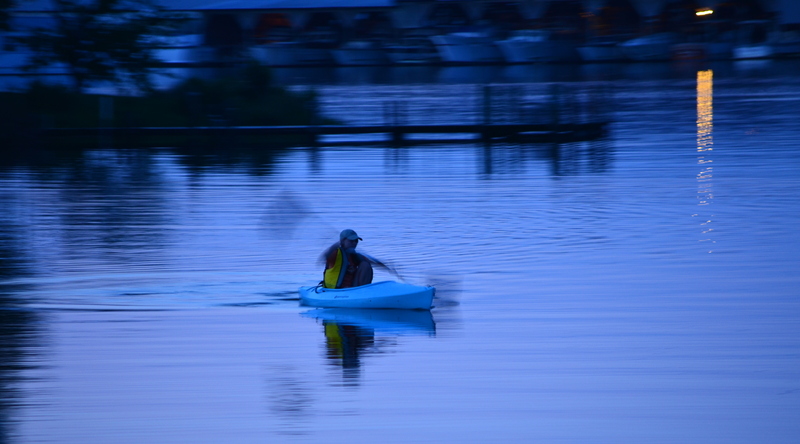 A slow shutter speed and unusual white balance created this surreal shot of a loan kayaker on Broad Creek at dusk.